Ask a Vet: Does My Horse Need a Joint Supplement? What kind of riding is your horse used for? Is your horse a competitive show horse, or a recreational trail horse? What is your budget for the horse? Are you looking for an oral supplement or are you interested in a supplement that is injected with a needle? We use the answers to all of these questions to tailor our recommendations as to whether or not your horse needs a joint supplement. The simple answer is that YES most horses could benefit from a joint supplement of some kind. A joint supplement can help your horse to age better, and fight off the effects of osteoarthritis as the miles go by. 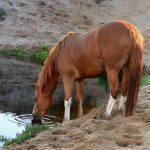 While arthritis can be a scary term for horse owners, it is important to keep in mind that at its root, the term arthritis simply means joint inflammation. There are varying levels of osteoarthritis (arthritis caused by athletic activity) that horses experience. 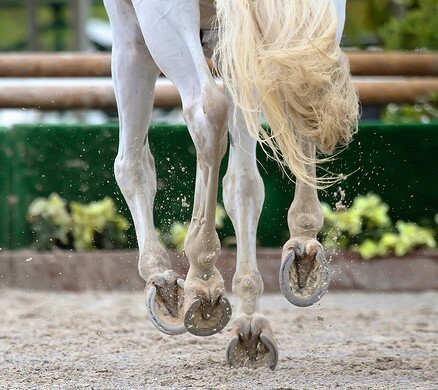 Every horse, from the highest level Olympic jumper down to the recreational trail horse, experiences this breakdown of joints over time due to the nature of their jobs and their feed. Supplementing the joints to keep the damaging effects of osteoarthritis to a minimum will help to prolong the career and comfort of almost every horse. 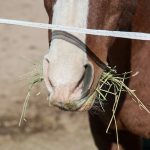 To simplify this discussion, we will divide supplements into two basic groups, oral supplements (given to the horse as feed) and injectable supplements (given to the horse via a shot with a needle). There is an overwhelming array of oral supplements available these days, but proceed with caution. Supplements are considered a “nutraceutical”, and as such the supplement industry is not under the same control by the FDA that the pharmaceutical industry is. Labeled claims are not required to be proven or backed by research, and companies are not required to test their product to make sure that they have the claimed levels of supplements present in their product. Also, in many cases there aren’t established therapeutic levels of these supplements. So, what is a horse owner to do? Basically the old tenet “you get what you pay for” has some truth to it when it comes to supplements. Because reputable companies often do back their supplements with research and quality control, some of the best oral supplements are NOT always the cheapest. Two products from the feed store that we here at MVS like are Cosequin and Glyco-Flex. Two more products that are available online are Platinum Performance (one of our favorites!) and Myristol. All of these products, when used regularly, seem to help the horses in our practice stay sound and comfortable. Injectable supplements can be administered through a muscle shot (like Adequan), a vein shot (like Legend), or even a shot directly into the joint itself (certainly a more involved procedure). Both Legend and Adequan have been very effective for clients and horses in our practice that use them, but they are often perceived as being more expensive than oral supplements. When considering your horses’ supplement budget, be sure to figure out the cost of a given supplement on a monthly basis. We sometimes find that the injectable medication is the more cost effective way to supplement a horses’ joints. As always, if you have specific questions, call us or drop us a message via email or Facebook and we will be happy to discuss your specific situation and find the right supplement for you and your horse!